In Japan, an ephemeral magic begins each year in spring: the sakuras blossom. Japanese people truly worship nature, in all seasons, but spring remains very special. It is a perfect illustration of refinement and aesthetics that make the beauty of this fascinating culture. Five months after our first stop in Japan, we wanted to come back and enjoy spring. To do so, we went up north to Aomori Prefecture to delight in such a dazzling sight. We take a night bus, one more. Yes, but a Japanese bus; it’s not the same. We already know that the night will be peaceful because we are in the hands of a driver with white gloves. Comfort, organisation, cleanliness are the main characteristics of service in Japan. But still, even a Japanese bus is not worth a comfortable futon. I swear it’s true! When we booked the tickets, we looked at each other and had the same thought. Cause it’s always the same. We’re a bit tired of night travelling and at the same time completely excited to be on the road again. A barely understandable feeling, but both of us know it well: we can’t do anything but being truly happy and impatient… despite all the inconveniences. If our planning is correct and the information grabbed here and there is true, the trees will be in full bloom when we arrive. Even the hairdresser confirmed the day before that the blossoming had just started. She comes from Hirosaki, one of the towns we plan to visit. She was so happy to know that we were going there. Every spring Hirosaki organises a festival that attracts many visitors to watch the sakuras in bloom inside the walls of the castle. That’s a perfect spot! But the show only lasts a few days, but a mere shower or gust of wind will be enough to end up the show. Fingers crossed! We’ve decided to stay in the port city of Aomori, situated in the bay at the extreme north of Honshū – the main island of the archipelago. It faces Hokkaido Island, to which it used to be connected by a ferry, and now it is thanks to the tunnel of the new Shinkansen line – the Japanese high-speed train. Aomori attracts visitors for its harbour, the famous Nebuta festival and its museum, the locally grown apples and processed products (cider, jam, etc. ), the fermented garlic, and of course for the cherry blossoms. Apple and sakura honey, apple jam, and sesame and dried fish cookies. It’s all happening in the Gappo Park at 30 minutes by bus from the city centre. In spring, people go there to celebrate Hanami under fully blossomed branches. They usually have a picnic with family and friends, walk around, eat fried chicken, takoyaki (an octopus ball-shaped snack) or a few mochi (rice cakes) on a wooden stick sold at the stalls set up for the occasion. Or maybe it is to listen to a singer with a crackling microphone (or maybe not…). It takes only 30 minutes by JR (train) to reach the beautiful Hirosaki. It’s very convenient for spending the whole day there, and even staying for the evening. Hirosaki is a very charming town, and its castle attracts many visitors at springtime. The surrounding park is lined with trees of smooth colours ranging from white to bright pink. As a background to the castle stands the majestic Mount Iwaki, still topped with some snow at this time of the year. All we would need is a kimono and we could be part of a traditional painting. Down the river, lovers or groups of friends take photos on small paddling boats. The grey sky at the beginning of the day gives a melancholy beauty. In the alleys, people take the pause under a branch or take selfies with the usual two fingers up. They take their grandparents there, on a wheelchair if needed, or take their dogs dressed up with alluring costumes on a leash or in a pretty looking pram… It is an important celebration, a period when all generations gather. When suddenly the sun comes out, the trees light up and the landscape takes another dimension. Cameras get busy capturing the intensity of the colours. A breeze may blow on a few petals and they fall onto the water. It is the perfect day for the show; tomorrow will already be too late. So we start the same walk again to see things with a fresh eye, as if it was a new show. At night, the whole atmosphere is different. The trees in the park are skilfully illuminated and that creates a surprisingly surrealist effect, a bit like a landscape under the snow. By night bus: Willer Express Bus Company provides a very good service and has a web site in English to book online. If you intend to do several rides throughout Japan, it offers 3-, 5- or 7-day passes, which can be bought from inside the country. By Shinkansen: the best is to book tickets at the ticket counter of any JR station (train). The tickets are quite expensive but you can buy the Japan Rail Pass for several rides, but that can only be bought from outside Japan by tourists only. The harbour: walk along the harbour to have a look at the big bridge, the ferry, the triangular building of the Aomori Prefecture Tourist Center from which we can admire the view from the top for a few yens and buy local products at the ground floor. Entrance fee: between 310 to 510 yens, depending on the ticket (castle, botanical garden and/or Fujita Memorial Garden). Buruman Café serves good coffee and is two steps away from the castle. Don’t miss the beautiful homemade apple pie and the impressive collection of cups. Fujita Memorial Garden (Fujita Kinen Teien) and its café: (the entrance fee can be combined with the one of the castle). A charming and peaceful place for a late afternoon walk. At the entrance, a western-style building houses a café with a veranda overlooking the garden. We recommend the apple tea and the apple pie. 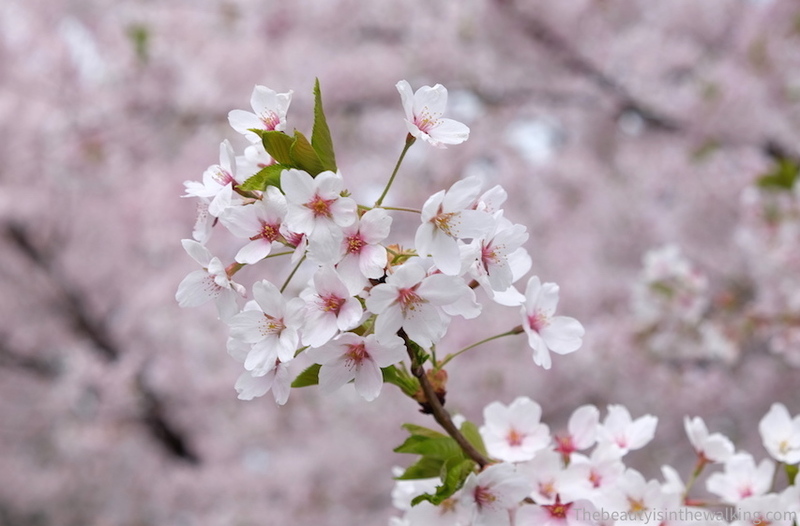 This web site gives real time info about the blossoming of the trees throughout Japan. How beautiful. I would simply love this.